Sweet Maple Cornbread - CRAZY good!! 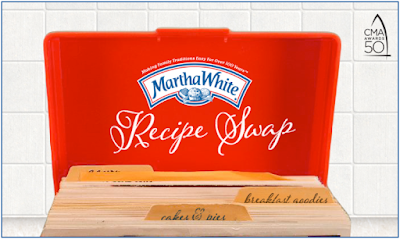 Cake mix, Martha White Sweet Yellow Cornbread Mix, eggs, water, oil and real Maple Syrup. Makes a ton! Great for potlucks and the holidays! Everyone went back for seconds. SO good! I just got back from an incredible trip to Canada, and I have maple syrup on my brain. We ate maple syrup with everything on our trip. We even had maple syrup on pizza! It sounds weird, but it was really good!! Try it next time. The CMA Awards are coming up on November 2nd, and we are having a little viewing party. Our parties usually consist of Chicken Legs grilling and a lot fo fun sides for everyone. 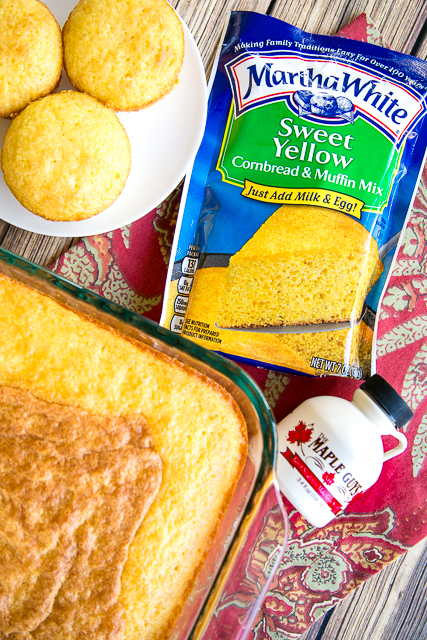 Since I am into all things maple right now, I am making this Sweet Maple Cornbread to go with our grilled chicken. Y'all this is SO good! I used some cake mix, tons of maple syrup and a couple of packets of Martha White Sweet Yellow Cornbread and Muffin Mix. It only took a minute to make and it was ready to eat in under 30 minutes. The cornbread is great with butter and it is out of this world drizzled with more maple syrup! It makes a TON! I made 12 muffins and a 9x13-inch pan of this Sweet Maple Cornbread. This would be great for the upcoming holidays too! For more great ideas for your CMA Awards watch party on November 2nd, check out these great recipes! 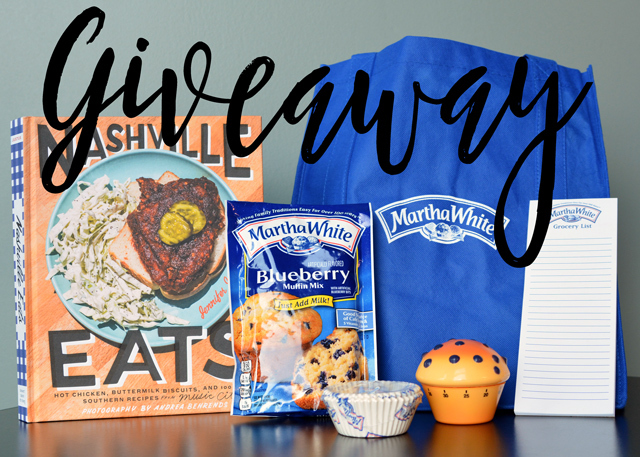 To celebrate the CMA Awards, our friends at Martha White want to give one lucky Plain Chicken reader this awesome prize pack! I'm dying to get my hands on that Nashville Eats book!!! The contest ends on November 1, 2016 at 11:59PM CDT. If you are viewing this post in a RSS reader or email, you will need to come directly to the post to enter. Preheat oven to 350 degrees. Grease preferred pans. I used one 12-cup muffin pan and 1 9x13-inch pan. Mix together cake mix, Martha White Sweet Yellow Cornbread and Muffin Mix, eggs, oil. water and maple syrup. Pour into prepared pans. Bake muffins for 18 to 20 minutes. Bake 9x13-inch pan for approximately 30 minutes. Nothing better than maple syrup and cornbread!! Oh.My.YUM. This just went on tonight's menu! That maple syrup drizzle though! Seriously, this looks amazing, Steph! Steph your cornbread looks delicious! 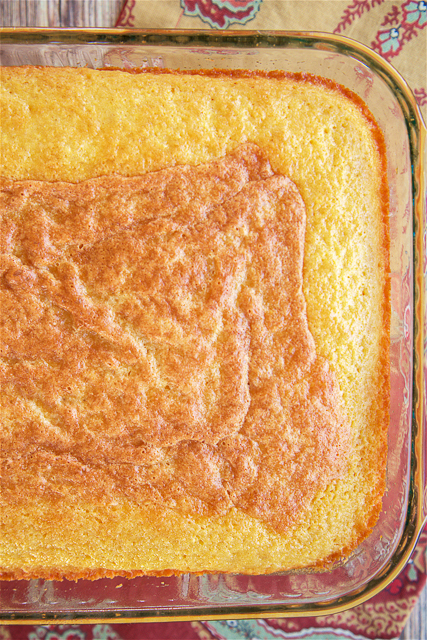 I love maple in cornbread, so this recipe is right up my alley. I L O V E cornbread and could eat it all day, every day. No joke! This looks great! Lately I've just been using Jiffy Cornbread mix and eating it with butter & honey but I am excited to try it with Maple Syrup!! I just received my Martha White prize with all of the great muffin mixes and I'm especially excited over the Nashville Eats cookbook, thanks so much!